Client needs is our main focus. Customer satisfaction tops our list of priorities and is achieved through constant dialogue; involvement and effective monitoring of performance and follow-up with clients to ensure needs are being met in all training and programmes we offer. From our base in central Scandinavia we work with a world-wide network of contacts and relationships to ensure our clients are exposed to the latest developments in international communication. We work especially with British and Australian organisations regarding developments in speciality subjects within the training field. Our extensive range of local government and private industry contacts around the world offers excellent prospects for our customers to network, link, benchmark and partner. ECG’s CEO John Ellard and his network of consultants and trainers are sourced from a variety of business and management backgrounds, including senior positions in international organisations. All consultants are well educated and highly experienced international communicators therefore we can guarantee that our clients are exposed to the best quality international expertise. At ECG we concentrate on developing participant’s skills in the Language in conjunction with specific subject skills training. This ensures that a more rapid development is achieved as well as focusing on the relevance of the training for the client’s industry, profession and use. This may include presentation training, inter-cultural training, social skills for business, visitor reception, specific terminology, international negotiating and marketing to name some examples. Our key approach in individual training and coaching is to professionally support the development of the client in his/her communication endeavours. We offer a top range of consultative support through our highly qualified and experienced CEO and team aimed at mentoring executives, politicians and senior professionals across both the public and private sectors. This support covers key areas including; leadership, organisational development, recruiting and development of staff, international networking, to name some examples. We provide rapid high quality consultative and PR services to numerous Scandinavian and international clients. Our services range for PR support and advice, translations, copywriting of material for marketing and information brochures, assistance with preparation for international meetings and linking to both private and multi-level governmental organisations globally. 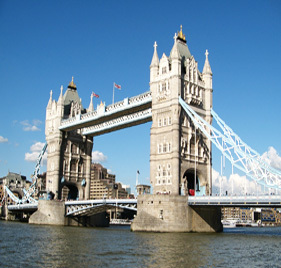 Our contact network is worldwide and is especially strong in the Anglo-world with emphasis on the United Kingdom. Our programmes are synonymous with quality. From our first contact with a potential customer we concentrate on providing top quality needs based services targeting complete customer satisfaction. Our testing, interviewing, needs establishment, targets and complete evaluation procedures guarantee that our programmes achieve this. We have a 100% customer satisfaction target and we are continuously achieving this.